Now, I happily passed the break even point for Lift Season Pass with returned snowboard from the bonehead snowboarder who picked up mine at resort last time..
Wow… the sky must have heard me sighing on not using the recently bought tire socks. Snow started from Friday so the pass was “Chain required or AWD only” played “Bizzard Mountain” in real life. 덕분에 엄청 편하게 잘 갔다오고 엄청난 파우더위에서 최고 설질의 보딩을 해주셨다…. 체인을 사야하는 사람에겐 강추… 유일한 단점은 양말인 관계로 다음에 쓰려고 젖은걸 말려야한다는점? 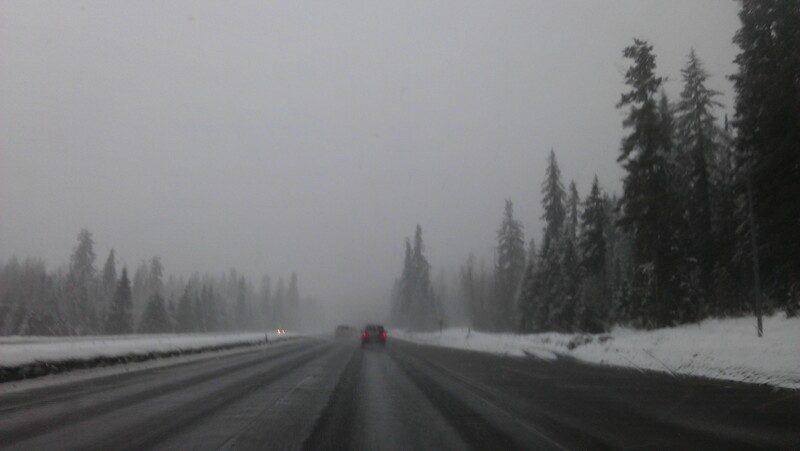 Driving over Snoqualmie Pass in Winter is always a thrill..